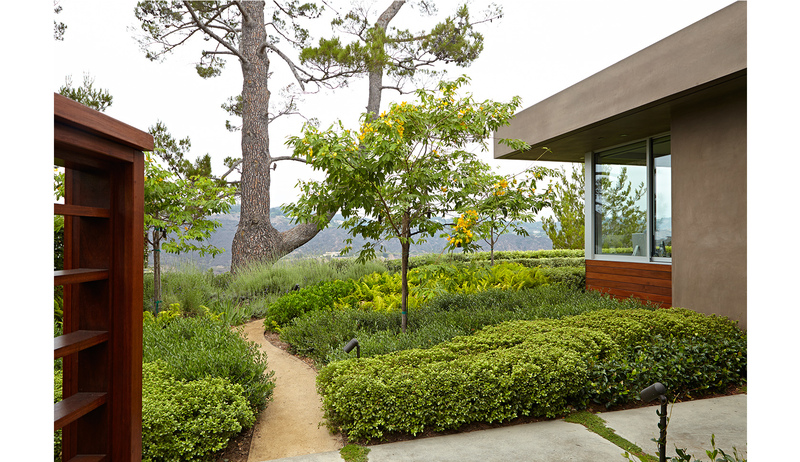 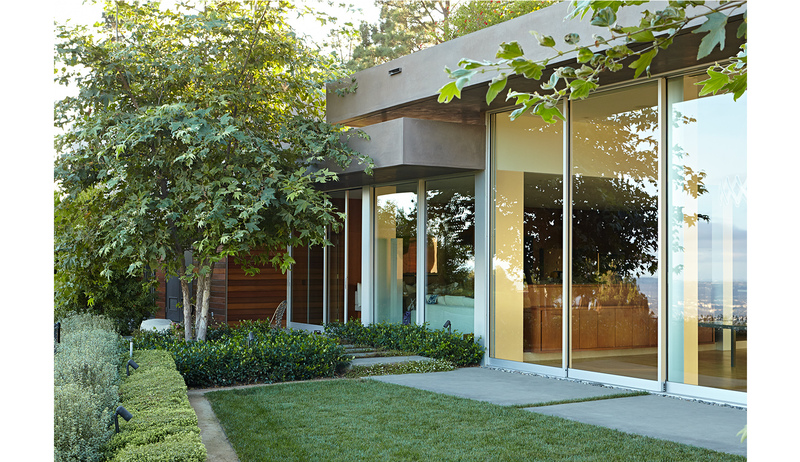 Located on a ridge with steep grades on either side of the residence, PB&Co designed a series of garden rooms linked by a circumambulatory path. 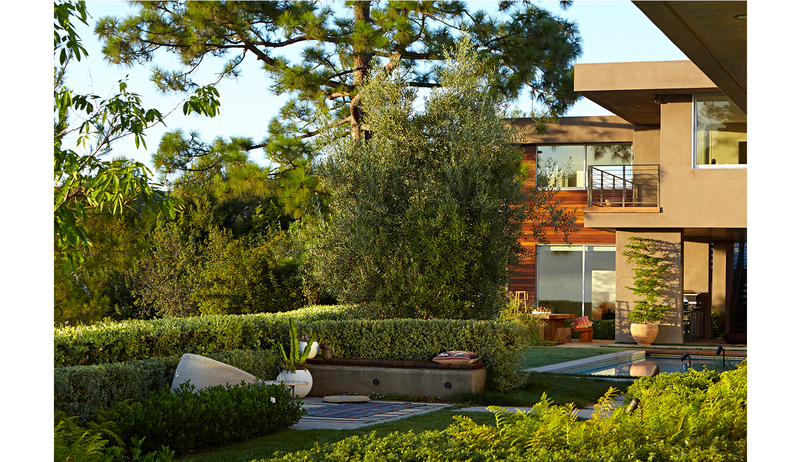 Utilizing the grade changes to embrace and separate programmed spaces, the design offers a variety of experiences throughout the property. 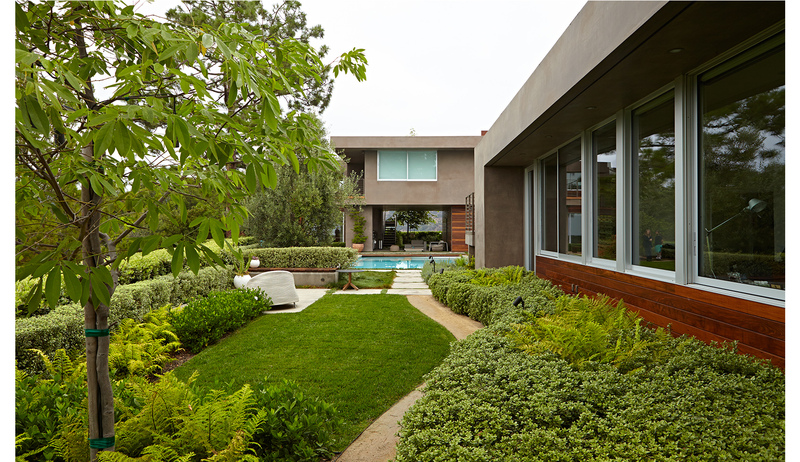 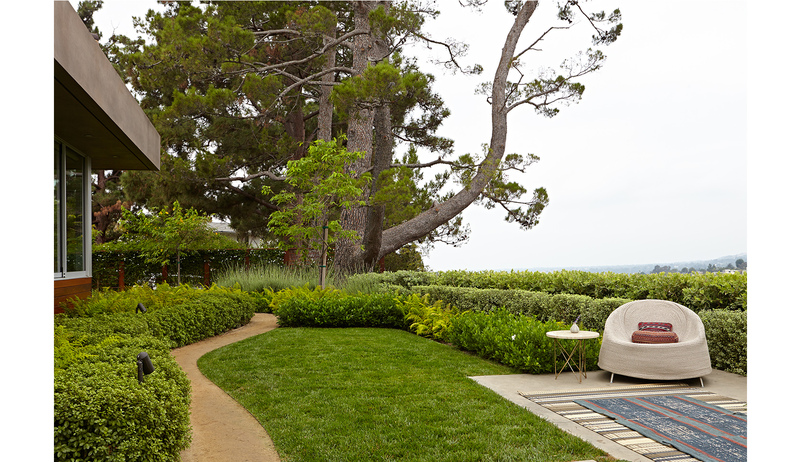 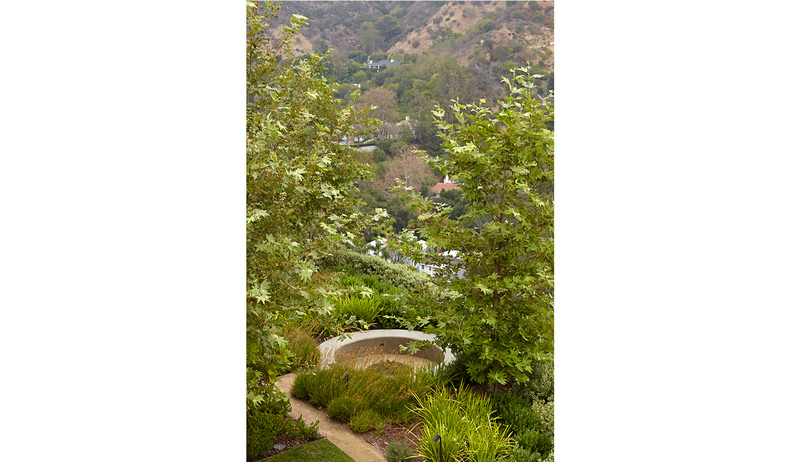 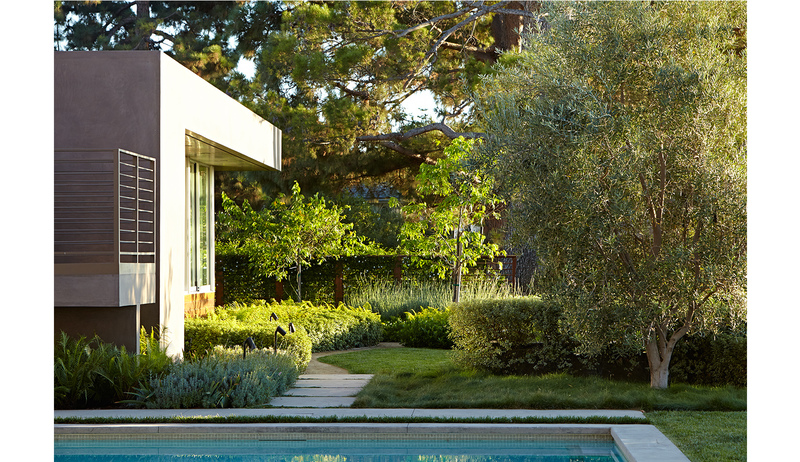 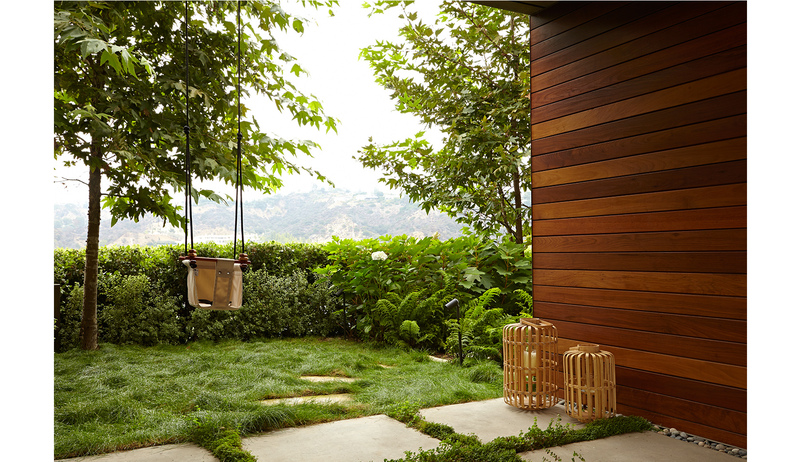 Minimizing lawn to truly usable areas, a play area planted with no-mow grasses is located close to the house for visual connections, but doubles as a serene lawn that takes advantage of the vistas over Franklin Canyon Reservoir. 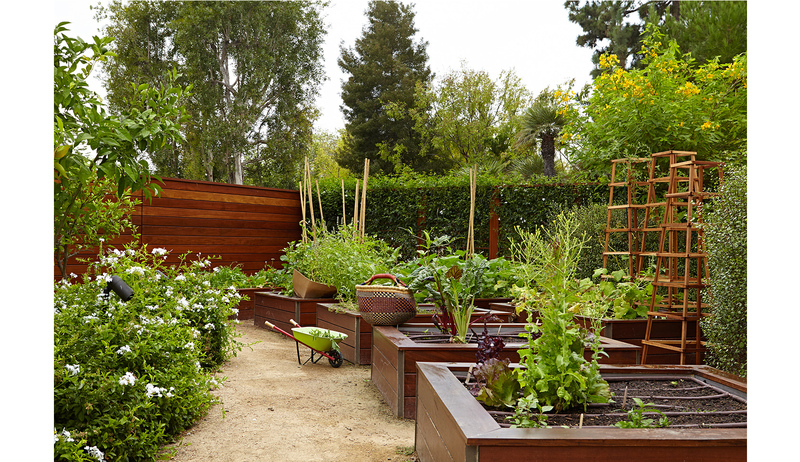 A vegetable garden is located just off the kitchen and carport on the only other relatively flat portion of the site. 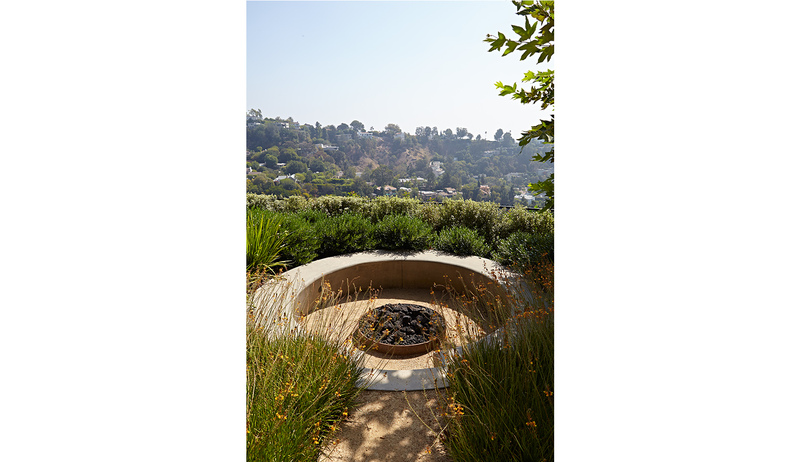 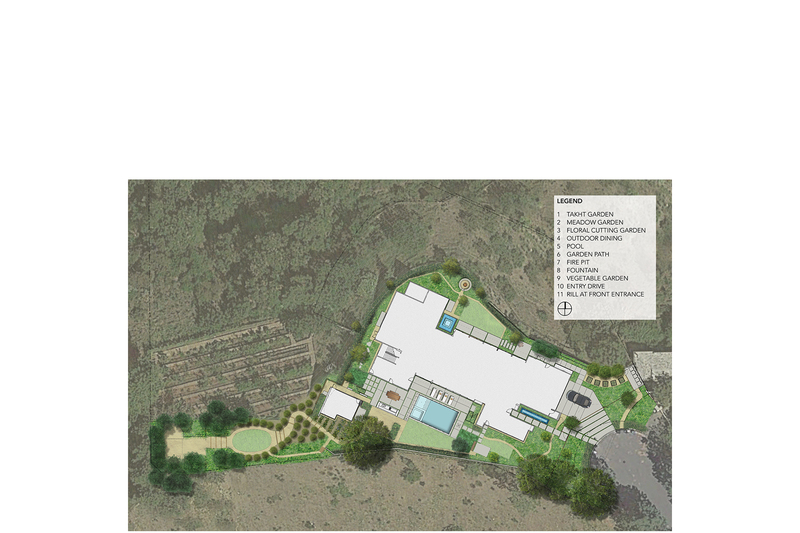 The walking path leads down the site to a small orchard, a fire pit and an oval lawn, offering separate spaces for entertaining and relaxation. 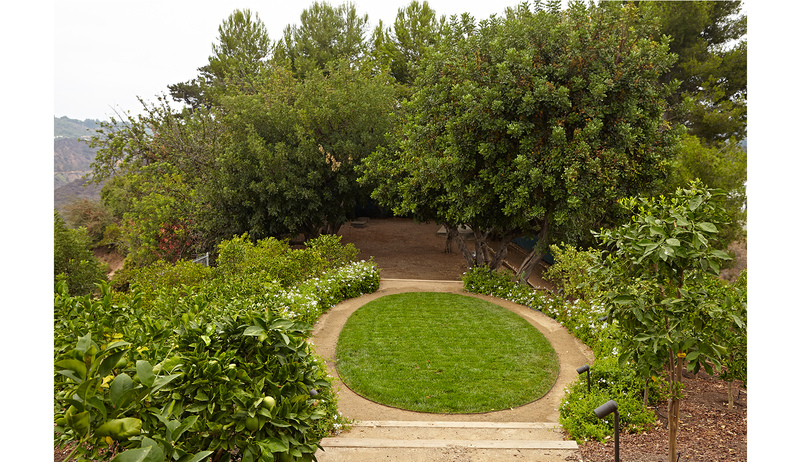 Native trees including California Sycamores and drought-tolerant shrubs in greys and greens with often black woody stems offer contrasts between the foliage and structure and knee-height texture along the path.